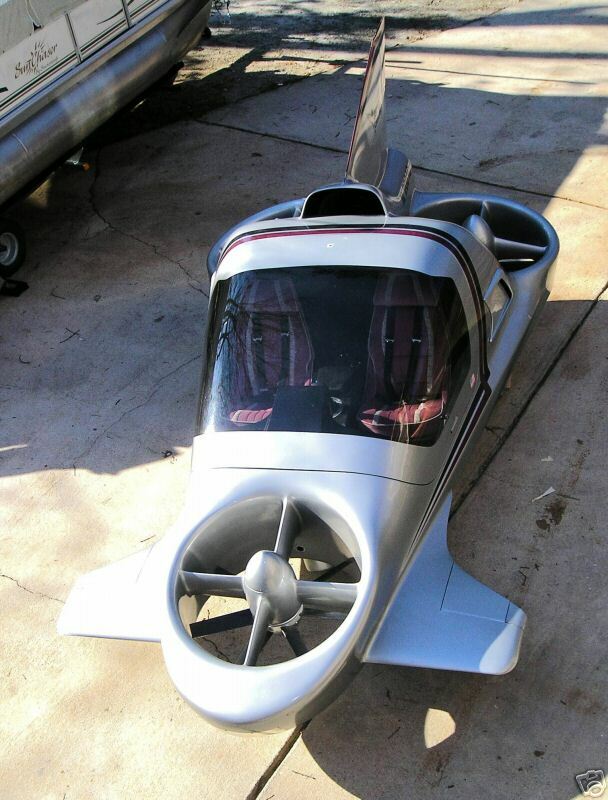 Popular Science Blog - Hot on eBay: Flying Car! Hot on eBay: Flying Car! That car looks awesome. I would pay anything to own it. Has anyone made any bids on it yet? Eric - You can see my aircar design at www.strongware.com/dragon. Such a great invention!!! Inventions are at times otherworldly and amazing, and at times very mundane. The U.S. is a land that has a long history of them. Some of America’s most famous inventions include things like bifocals, the polio vaccine, and some controversial ones as well. There have been a few in the last year or two which seem straight out of science fiction. 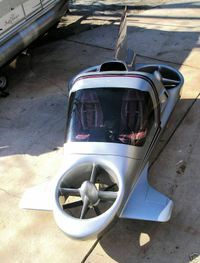 A flying car that gets 35 mpg, which can fold its wings and fit into the average garage, and it goes for about $200,000. There’s also a GPS headset system that mounts directly to a cow’s head-now we can finally find where the beef is. No doubt that the rest of the century will reveal some other astonishing inventions. Oh! this flying car was so cool. Hmmmmm... I am planning to buy flying car if they make sure that is real safe. Its a good car and yes it flys but not by using air itself. This car has the potential but the use of fans dosen't really making it hover but by forcing air out of a small container at a spped could one day project cars and ships anywhere. Hi its me again! I've already shown this post to my sister and she was so interested in this. She told me that in the future, all cars and motorcycle would likely possess the technology required to fly. Anyway, I've been looking for topics as interesting as this. Looking forward to your next post. I wonder if it still has the manual in the glove box. Seriously, the CRT monitor is a nice touch, that just makes it look more legit. I hope I can still buy a car like this someday. Interesting car, hope that I can ride one someday. My house is not too too old, but not new. When I move it, i was nine, the owner son just graduate from university. The owner build the house. So that's about how old is the house. It looks better than it did then, but even then it took a real strech of the imagination to think it would work safely. One day when modern materials catch up with man's imagination things will be different. I read this car. The flying Car looks like very interesting. Do you know any Car Rental Company from where I can take this car on rent. I am very curious about it..And I wish I will fly it very soon. It is a shame this never took off (no pun intended). I think it was a cool idea. Flying car? hUh! Guess someday bicycle will fly too. The seller implies that it might be flyable, but the buyer would be a fool to attempt it. The same limitations that existed then exist in that hardware now, so all you'd achieve is a low hover and the strong likelihood of a crash. All that aside, this thing's a beauty—elegant, seemingly very well-built, and rich in history. That canopy alone is a work of art.